Brighton Ford : Adopt The Brighton Ford Pet Of The Week Mia! Adopt The Brighton Ford Pet Of The Week Mia! My name is Mia. 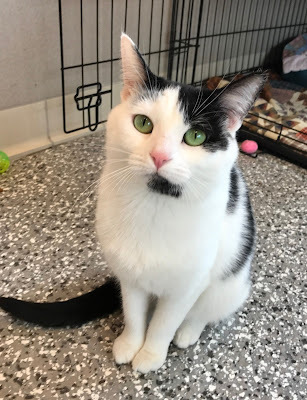 I am a beautiful, black and white, short hair (spayed) female with green eyes born in Feb 2016, so I am just one year old! I was found outside in the cold until a kind person brought me to the shelter to be kept safe until I can find a loving home. I was very frightened, but after spending time in a loving foster home, I am learning to trust people, so now it is time for me to find my forever home. It’s Baby Season At The Howell Nature Center!